We’ve seen the impact that Bitcoin can have on the future of payments. But money is not the only area that the movement is influencing. Bitmessage is a protocol that implements some of the ideas of Bitcoin into communications. Given the pressure on technology companies to cooperate with governments regarding services like email, those looking for a private way to communicate could find Bitmessage’s concept quite interesting. We live in a time where cloud computing has become the norm for our digital services. That means that a lot of our information is actually stored in data centers scattered around the globe. This has provided us with convenience in the form of access to our data from anywhere. At the same time, however, we are losing a sense of control and security over our communications whether it is via chat, email or on social networks. Bitmessage is like Bitcoin in that it is a decentralized, peer-to-peer protocol. Unlike using an add-on component for email similar like Pretty Good Privacy (PGP), Bitmessage is a unified system that encrypts every message. The whole point of the platform is to keep your communications secure. And on top of that, it keeps secure the members of the communication: not only is the content of messages protected, but the sender and receiver of those messages is kept secret as well. According to the official Bitmessage whitepaper, even those who use encryption standards such as PGP find it an overwhelming process. In this way, one can think about Bitmessage as a decentralized email server. Up until now, the way in which we have used email systems has really not changed much over the years. But then, this idea came along. Bitmessage runs as a client on your computer — for now, there is not a web-based client. Instead of such a system, Bitmessage uses math to verify messages, keeping over two days worth of encrypted messages within the distributed system at any given time. To obscure addresses in Bitmessage, the system uses a non-identifiable address that will look very familiar to Bitcoin users. That’s one of the reasons why Bitmessage could become useful: other forms of communications have become so transparent that there’s a need for an alternative with more privacy and security. Ostensibly, this system works like Bitcoin: transmissions are secure and cannot be fabricated. 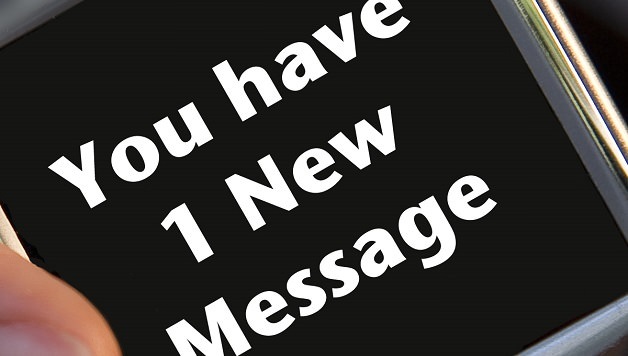 Messages are encrypted with the public key of the recipient. And a proof-of-work system means that the Bitmessage client must solve a computational problem to send a message. This in theory would prevent one of the major problems with regular email: spam. As it stands now, it’s hard to see how Bitmessage would work directly with email. It’s likely that Bitmessage would operate on its own as another service that is ultimately separate from email. That’s probably the point, anyway: if Bitmessage did somehow work with regular email, that would probably defeat its intended purpose. Because Bitmessage is decentralized, it has the potential to be more redundant than email itself. From time to time, big tech companies have outages that disrupt messaging services like email due to software bugs or other failures. With Bitmessage’s peer-to-peer network, this risk is reduced because it doesn’t rely on just a single provider. Bitmessage makes between 50-100 outgoing and about 8 incoming connections when the client is online. Right now, Bitmessage isn’t easy for the average person to use. There is a native Windows client you must install or, alternatively, you can compile the source code to use it on Linux or Mac OS X. Given that technology usually needs to be very intuitive as a path to popularity, though, someone is going to need to come along to develop a simple iteration of the software. There can be an easy comparison here between Bitcoin and Bitmessage. The prevalence of web-based wallets and exchanges is certainly providing momentum for Bitcoin. The same could be said of Bitmessage. All it will take is for the developer community to realize the potential that Bitmessage as a system holds – after that, we’re likely to see the creation of easy-to-use tools to support it. Could There Be Mass Appeal Like Bitcoin? The regulatory environment of Bitcoin is heating up. The main message that came out of the Bitcoin 2013 conference was that the only way forward was for regulation to be a part of the overall picture. “The people using Bitmessage now are the type of people who were using Bitcoin in 2010,” says Warren. That leads one to question what could happen with Bitmessage, should it take off. In fact, the concept of Bitmessage might have a lot of appeal. In an environment where governments and businesses alike are incredibly afraid of sensitive information leaks, a technology like Bitmessage might be appealing to them. This is unlike Bitcoin, which potentially poses a threat to organizations with concerns about monetary control. To learn more about using Bitmessage, check out the website bitmessage org, which is set up as a wiki, complete with an FAQ. There is also a forum for discussing the Bitmessage platform. Given the real value that the Bitcoin market has seen develop as the demand for Bitcoins has grown recently, it would seem like Bitmessage is coming along at just the right time. “I don’t believe that people have yet come to appreciate how useful having a censorship-resistant, authenticated broadcast mechanism can be,” says Warren. What do you think? Does Bitmessage offer promise? Would you use a decentralized system for digital communication?